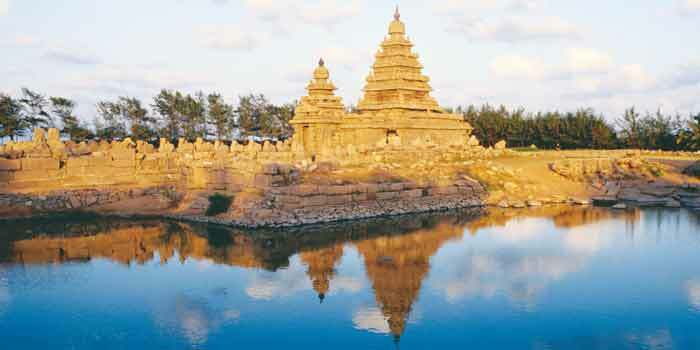 We arena��t strangers to majestic temples down South. Not only are they the a�?abode of the godsa��, they are stories in themselvesa��of history, architecture, culture and rituals. Many of us consider ourselves experts, but, in reality, there are many things we dona��t know. For example, how many are aware that Mylaporea��s Kapaleeswarar temple was initially built somewhere else or that the Dharmasthala also houses a car museum? We asked Janaki Venkataraman and Supriya Sehgala��the authors of Lonely Planeta��s new book, Temple Trips South Indiaa��to share little-known gems about these edifices that pepper the southern landscape. Manjunathaswamy Temple: Vaishnavites, Shaivites and Jains visit this 800-year-old Shiva shrine in Dharmasthala, Karnataka. But kids have the best time here, thanks to the Dakota aircraft parked in a fenced area near the parking lot. The property of the Heggade family (the overseers of the temple), the plane isna��t functional, except in the little onesa�� imaginations. Another attraction is the car museum there (entry at `5) that exhibits the Heggadea��s vintage car collection and horse-drawn carriages. Aiyarappar Temple: When you visit this Shiva temple in Thiruvaiyaru, make sure you spend some time in the outside praharam (corridor). a�?In the stone wall, there is a little hollow. If you shout the lorda��s name there, you will hear five distinct echoes from five different parts of the temple,a�? says Venkataraman. Another highlight: the outer walls with little kili pondhus (bird holes) to encourage parrots to nest. Every evening, disciples scatter grains to see the green-winged beauties descend in flocks. 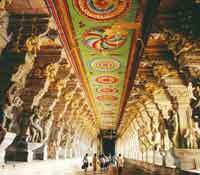 Kapaleeswarar Temple: The temple you visit every Sunday in Mylapore is just 300 years old. But the idol is over 2,000 years old, and was housed in the original temple, which was built near the seashore a few kilometres away. Ptolemy, the Greek geographer, is said to have mentioned it in his account of his travels to India.A� Reports vary over its destruction: the verdict is split between a tsunami and the Portuguese occupation. A board by the entrance of the a�?newa�� temple mentions visits by the Greek and Chinese travellers. 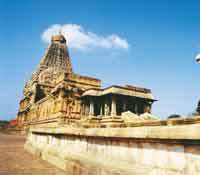 Kailasanathar Temple: This temple, dating back to the seventh century, has strong Jain influences in its layout and the little mandapas that dot it. Whata��s unique here, however, is the little cave inside the sanctum sanctoruma��which is the opening to a semi-circular tunnel. a�?Ita��s very claustrophobic. Once you squeeze in, you go down three steps and then crawl till the end. Devotees believe that if you successfully do this, you end the cycle of birth and death,a�? says Venkataraman.